R2-D2 and BB-8 have saved the day countless times in what will probably end up being a never-ending series of movies. 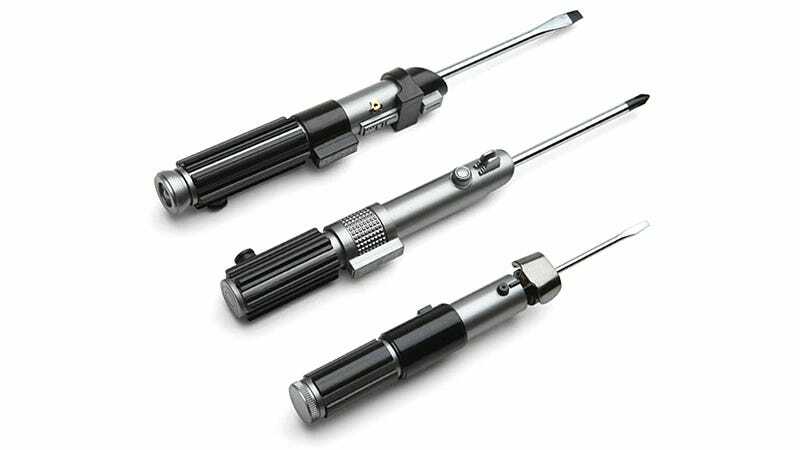 But droids are an expensive companion, and you’ll never have to put up with any sass-talking from this set of lightsaber-handled screwdrivers. The $20 set, available exclusively from ThinkGeek, includes two flathead drivers with Yoda and Darth Vader’s hilts used as the handles, and a Phillips head screwdriver with Luke’s/Anakin’s lightsaber providing plenty of grip and torque. You probably won’t want to face a Jedi with one of these in hand, but with enough determination they could probably be used to take down a Wampa.